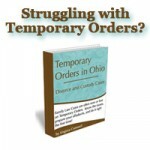 What is the average cost of a divorce in Ohio? We get this question all the time. Know why lawyers look so nervous when you ask them this question? Because there is no average divorce. Clients really really want there to be, because they want to know what to expect. Of course they do! This is one of the most stressful times of their lives! But family law is a different animal, and especially divorce. Adultery. This makes for an expensive divorce not because it is especially legally relevant in Ohio, but because somebody in the marriage is probably pretty ticked off and not in a hurry to just let their spouse go on their merry way. Attorney Fees. Can you afford to pay your attorney to litigate long enough to try to get all the things you want? 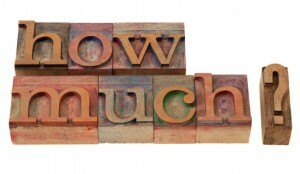 Even if you can, will the cost of attorney fees outweigh the cost of what you are trying to get? Given your attorney’s advice re the likelihood of getting or not getting what you want, should you settle? Can the other side afford to pay his or her attorney? 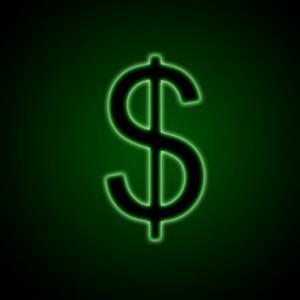 How likely is it that the court is going to order you to pay part of your spouse’s attorney fees, or vice versa? Is your spouse continuing to litigate despite the fact that he or she has no apparent way to pay his or her attorney? Child Support. Who is going to pay it? How much should be paid? 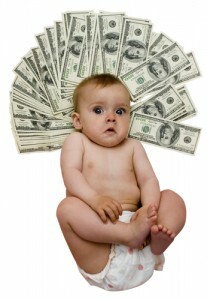 Can you agree on how much each of you earns so that the court can calculate child support guidelines? Is either person deflating his or her income? Is either of you underemployed or unemployed? Is somebody who is capable of working deciding not to work? Does your child have any special needs? How much time is each parent going to have with the child? Should the amount of time each of you spends with the child be a factor in how much child support is ordered? Custody. If you have children, do you and your spouse agreed regarding the terms of custody? Should it be shared parenting, or should one person have sole custody? How much time should each parent have with the child? What should the parenting schedule be? Who should do the transportation? Who will take the tax exemption for the children? Who will have authority to enroll the children in extracurricular activities? Who will pay for them? Will both parents continue to foster the child’s love for the other parent in their home, or will they engage in parental alienation? Who will make medical decisions? Division of Property. Have each of you agreed who gets what? Have you each disclosed to the other everything that you have? Division of Debts. Have each of you agreed who pays what? Can you afford to live in two households and still pay all your bills and your support (child support and spousal support obligations)? Have you each disclosed to the other everything that you owe? 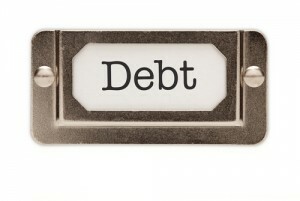 Does either of you plan to file bankruptcy during the divorce or after the divorce? Duration of the Marriage. How long have you been married? Have you been separated for many years? 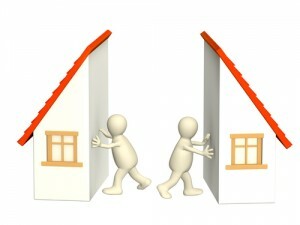 Should what you earned or acquired during your separation be divided as marital property? Has either party hidden assets? If either party has a history of being secretive about their finances, this can make the divorce last longer. The other party cannot trust that they are getting a fair deal, because their spouse has always been so secretive. If proof of hidden assets has been discovered, this can be especially difficult, because then the deceptive spouse is in a position of trying to prove a negative. In other words, how can you ever prove your are NOT hiding any more assets? You can’t. So best to disclose right from the start. Health insurance. Who is going to pay for health insurance during the divorce? Is COBRA coverage available after divorce? Who is going to pay for it? Mediation. Will your spouse participate in mediation? How hard will they work to come to resolution? Moving or Relocation. Is the parent who will be the child’s “home base” allowed to move away from where they live now with the children? If so, how far away? Who will provide the transportation for visits after the move? Retirement benefits and Pensions. Has either of you acquired retirement plans, 401Ks, IRAs, Keoghs, deferred compensation, PERS, STRS, TIAA CREF, pensions, military pensions or other assets during the marriage? What are they worth? Is yours equal in value to your spouse’s? Is it fair to just let him take his and she takes hers, or do the plans need to be divided? Spousal Support. Will either party pay spousal support to the other? If so, for how long? Separate Property. Do you have any separate property such as property you inherited, property you had before the marriage, property that was a gift during the marriage to you only, property that is protected by an Prenuptial Agreement? Temporary Orders. What are you going to do while the case is pending – with kids, with child support, paying the bills, who lives in the house, who drives the car, everything? Who gets the house? This question can be one of the most problematic question in a divorce, especially when the house is “under water”. Who can afford the house? Often neither party can afford the house, and neither party wants to take the credit hit or financial repercussions of foreclosure or bankruptcy. This issue alone can make a divorce linger for months before parties realize that they have to do SOMETHING and make a decision. The answers to these questions and more go into how much a divorce will cost. Bottom line is – divorce is not ever cheap, and no two divorces are the same. In addition, you are not the only one who controls the cost of your divorce. Your spouse and his or her attorney, and the Magistrate or Judge assigned to your case have a lot of control over how much things are going to cost. You and your attorney should discuss all the above issues and then maybe you can get an idea of what your divorce would look like, but without that information, it is a wasted effort to try to tell you what to expect from your divorce. It is worth it to really put your all into trying to come to agreement with your spouse on every issue possible. Even if you can’t agree on all issues, you can settle some issues early on and limit the cost of your divorce. From there, you can work with your attorney to do all of the “home work” that you can to try to keep costs down.